Another big news week and we’ve got it all below for you to peruse. The highlights include the U20 Tri-Nations Cup in Canada, the Black Ferns and Australia are preparing for a two match series starting August 18, the USA Rugby WPL league kicks off August 18 as well and we cover the USA Rugby Club 7s National Championship in New York. Cathy Wong, the Oceania Rugby Women’s Director was recently appointed to the World Rugby Council. Her role is to oversee the development of women’s rugby in the region, at junior and senior level, in sevens, tens and 15s. But there are major challenges in the area including something we covered earlier in the year when education ministry banned girls from playing rugby in schools. Check out this COOFFEE Ugandan coffee blend, all profits finance women’s rugby in Uganda! Find out more at https://rugbytacklinglife.com/. The U20 Tri-Nations Cup includes Canada (host), USA and England in a three match playoff. Matches are August 7, August 10 and August 14. Canada took the first Tri Nations match defeating USA 36-12. World Rugby has announced that rugby has nearly 800 million followers globally! More than 338 million considering themselves fans, with India, China and the USA alone constituting almost 33 per cent of the population. Research was done by Nielsen Sports and it paints a picture of a vibrant, growing sport that is increasingly broadening its global appeal. Wish this was broken down a bit more by gender, but still a huge number! A bit of 15s action this week as the Black Ferns are preparing for their two matches again Australia in Sydney on August 18 and Eden Park on August 25. The Ferns will then travel to Chicago, IL to play a match against the USA Rugby. The prep continues as they will then face France twice later in November. Who’s getting excited for the 2021 Women’s Rugby World Cup? We haven’t heard that the matches against Australia will be streamed but we can listen to it. Live rugby commentary of the All Blacks and Black Ferns will be on Radio Sport, and available to stream on iHeartRadio! dóttir SPORTS is covering Welsh International and Bristol Bears player Elinor Snowsill in a cool video series. The above link is the sixth episode but you can watch all the videos at https://www.youtube.com/channel/UCrrQSuczAyWaIYnYq9GvZ9A. 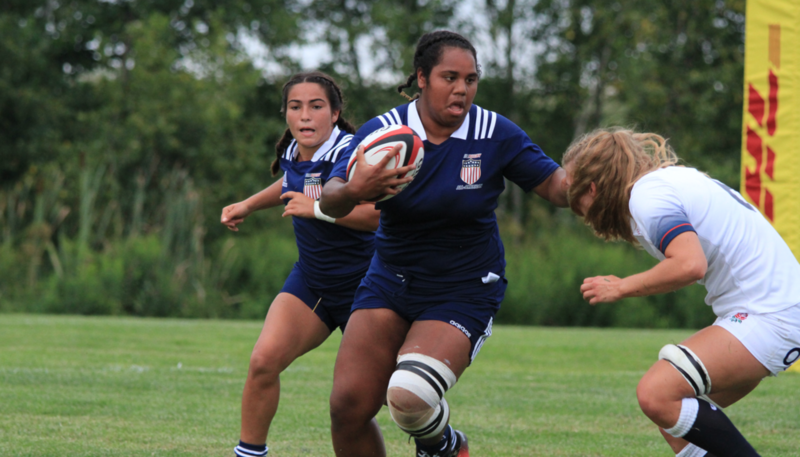 The 10th year of the USA Rugby Women’s Premier League kicks off August 18 and the opening matches are North Shore at ORSU, San Diego Surfers at Berkeley All Blues, Atlanta Harlequins at Beantown and Twin Cities Amazons at the DC Furies. The final rounds will take place at the 2018 USA Rugby WPL Championships hosted at Life University in Atlanta, GA October 26-28. The 2018 USA Rugby Emirates Airline Club 7s National Championship kicks off Saturday, August 11 at the Baker Athletic Complex, in New York City. This is the 8th installment of the USA Rugby Women’s Club 7s Championship and the pools are a mixed bag or rookies, veterans and Champions. Last year’s champion Seattle Atavus is playing under a different banner as they’ve adopted the Washington Athletic (WAC) moniker. Can’t make it to New York this weekend? Watch all the matches on Flo Rugby. The opening day of #Club7s lived up to the hype, as it produced dramatic moments from the first game of the day through to the last. San Diego defeated Scion 19-12 to clinch their third title and sealed their place in history as the only Women’s team with three 7s National Championships to their name!